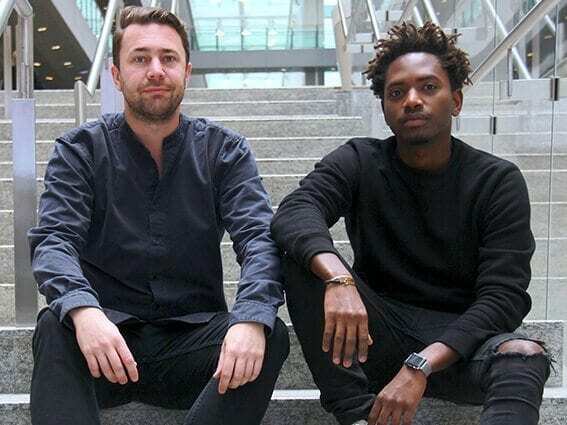 Clinton Robinson and Kofi Gyekye, co-founders of Lane. Just as a house may use a home kit to automate all of its accessories, an office building can now use Lane to do the same. 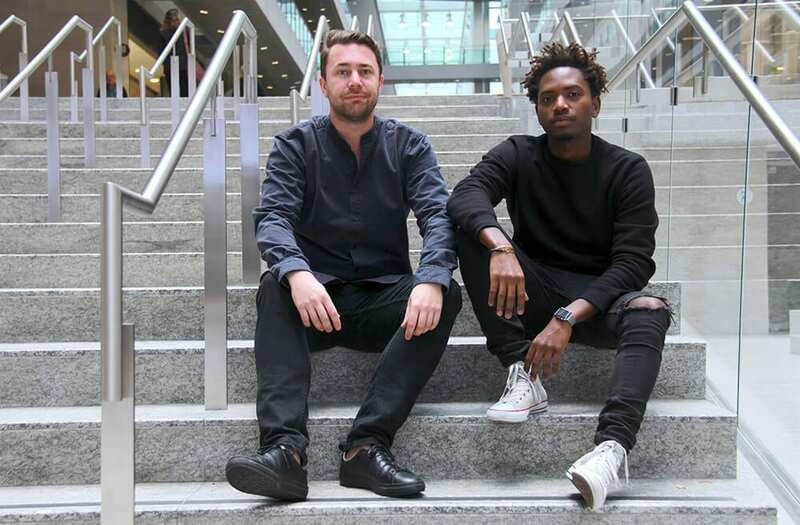 It all started when Clinton Robinson and Kofi Gyekye, then the co-founders of digital agency Little Room, found themselves in one of Toronto’s skyscrapers, working on a project for one of their clients. They noticed hundreds of people passing through the building every day who did not seem engaged in their surroundings. Their disconnection to the environment inspired the two to do something to change those interactions: they created Lane. Lane is an app that allows property managers to educate and engage their tenants about the programs, services and amenities offered in their buildings. The app also helps property managers to measure building engagement through analytics, enabling them to make informed decisions that impact factors such as energy efficiency and the allocation of resources. For example, the app could alert cyclists if the building’s bike racks were full, and property managers could surmise from this information that more bike racks are needed. Back then, Clinton and Kofi’s original company, Little Room, grew at a quick pace and was well positioned to reach over 100 employees. However, after three years, the pair realized that they were stuck. So they decided to leave and start from scratch. In 2014, the two founded Usful, a product company focused on creating technologies and experiences that have positive impacts on communities. Lane is their second product and they’re in the process of launching a third. Although they had a clear vision of what they wanted to do, it wasn’t an easy decision for Clinton and Kofi to start over. One of the biggest hurdles they faced was raising that initial capital. For Kofi, the other challenge was entering the commercial real estate industry, an industry that was brand new to both of them. They had to learn how to work in an industry that moves at a slower pace than they were used to. For now, Lane consists of a small team of 10 and also has a steady rotation of postsecondary co-op students. Because of the company’s strong focus on social and environmental values, it has been able to develop a co-op program to attract talented graduates who are looking to work in an environment that aligns closely with their own values. The Lane team is currently working on integrating more systems within its platform, including retail and maintenance systems. Once the systems are connected, the team is hoping to add artificial intelligence for further connectivity. Lane is used in commercial buildings across Canada, but Clinton and Kofi are looking to expand its reach internationally next year to the United States, Australia and the United Kingdom. To be an entrepreneur is to be deeply committed to your company and its vision. For Clinton and Kofi, it was an important decision that involved difficult sacrifices. “It’s a hard decision to finally decide when you are putting 100% into being an entrepreneur,” says Clinton. Running their own company has taken its toll on their relationships with family and friends. Kofi believes that constant and open communication is the best way to deal with these challenges.